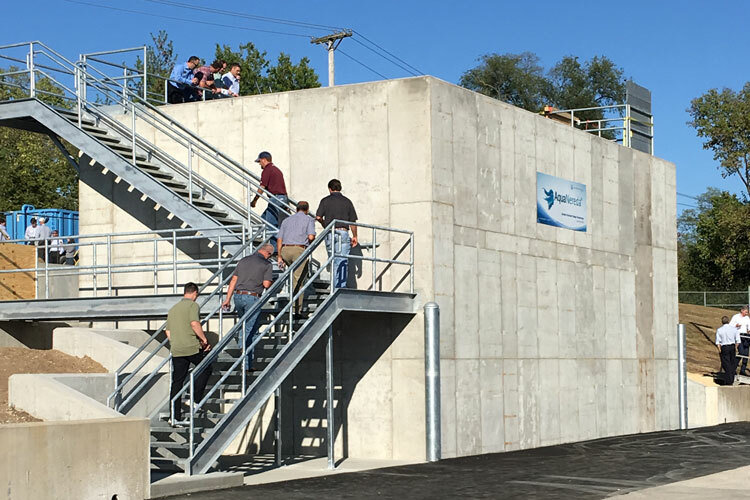 Built and commissioned in 2017, the new full-scale AquaNereda aerobic granular sludge demonstration plant is located at Rock River Water Reclamation District (RRWRD), approximately 10 minutes from the Aqua-Aerobic corporate office in Rockford, IL. 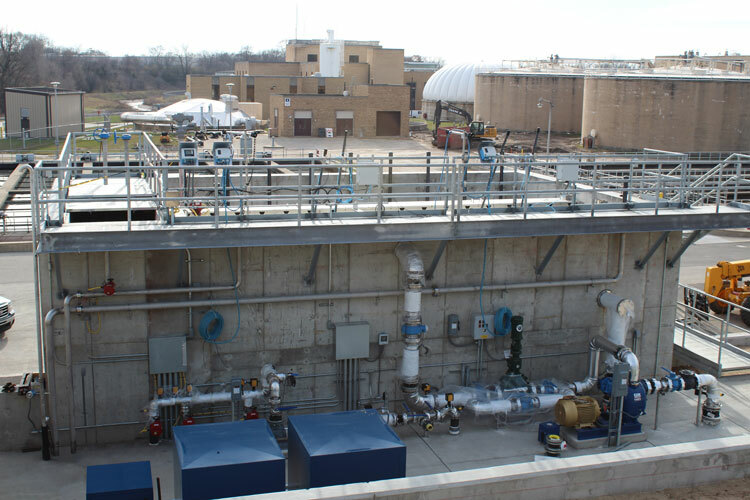 The system treats raw wastewater pulled from the RRWRD’s partial flume and is designed to treat an average 200,000 gpd flow. The AquaNereda system targets <10 TSS and BOD, <3 TN and <1TP. As part of Aqua-Aerobic Systems’ research and development and quality assurance programs, products can be tested at the onsite 300,000 gallon test tank which has a depth of 14 feet. Since 1969, aerators and mixers have undergone testing that includes vibration analysis and oxygen transfer to ensure on the most durable and efficient product is provided to customers. 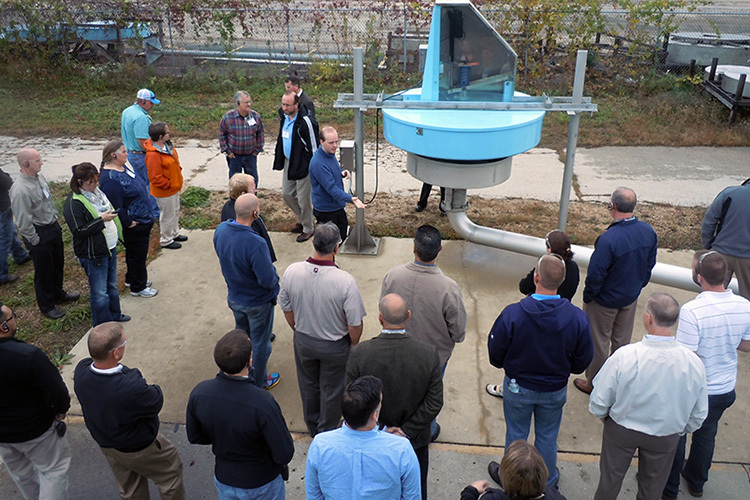 The outdoor testing tank is a vital element of the company’s technical seminar program that offers attendees the opportunity to visually see products such as the AquaDDM® mixer, the Aqua MixAir® System, and various diffuser configurations in full scale operation. 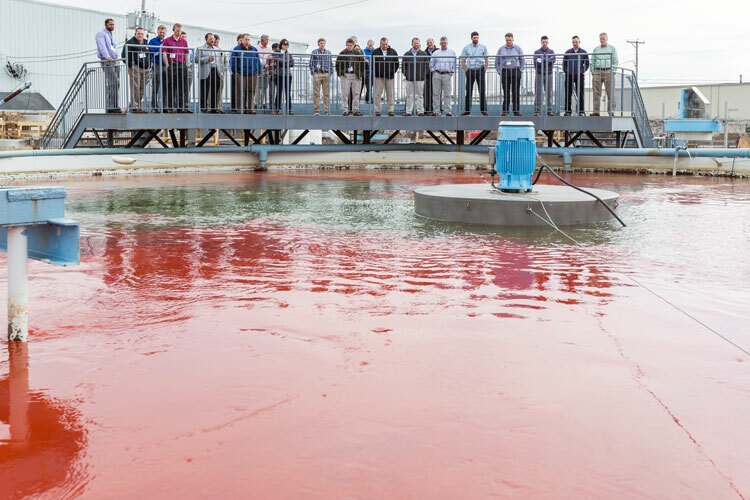 During the dye tracer test, a red dye is added to the tank, the AquaDDM mixer is turned on and the test clearly demonstrates the superior mixing of the AquaDDM with complete mixing of the tank within 2-4 minutes.